Melt the butter, crush the shortbread cookies. Remove the butter from the heat and mix the cookie crumbs with the butter in the pan. Pour this mixture into a round cake pan*, flatten with your palms, and chill while you make the filling. For the filling Valérie melts the butter and mixes all of the remaining ingredients together with a whisk then she pours it into the chilled crust. Cook at 300 ° F (150° C) for 1 hour 15 minutes. Then she turns off the oven and allows the cake to cool slowly in the oven before refrigerating overnight. * This pan is a nine inch (23 cm) straight sided cake pan. 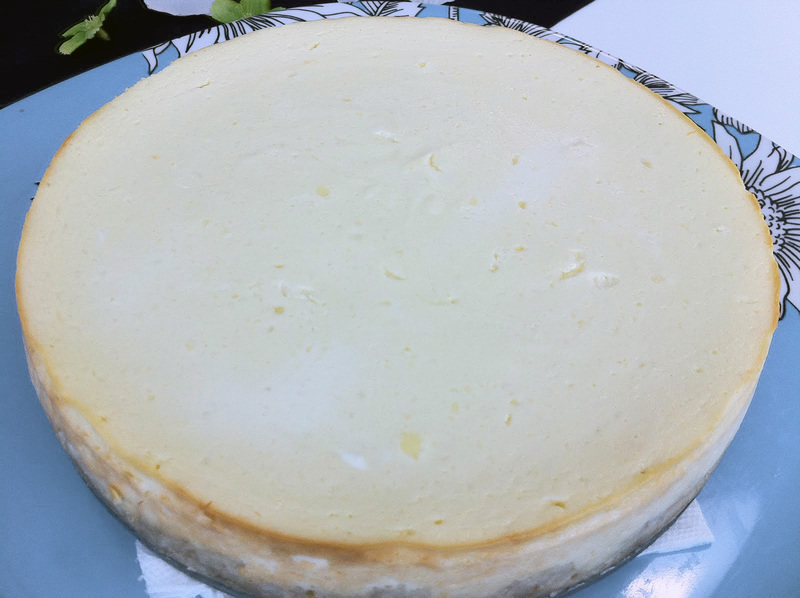 If you’re using a real cheesecake pan with a diameter of ten inches or more (25+ cm) you’ll want to double the recipe.